The Minack Theatre may look a great deal like half a Roman amphitheatre but it was actually built by one woman, her gardener and his mate. 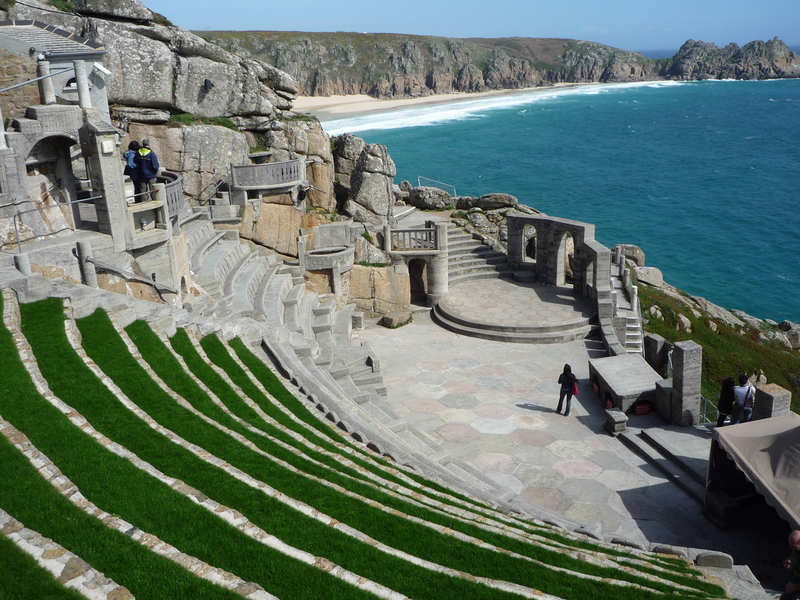 Rowena Cade originally built a small stage and a few terraces at the end of her garden, overlooking the Atlantic ocean near Land’s End in Cornwall, in 1932 to stage a production of The Tempest. It turned out to be such an ideal venue that she continued to add to and improve it as an outdoor theatre until 1983 when she died. To this day it is still being used to stage productions of all kinds by theatre companies from all over the country. It seats over 750 people on the various rocky terraces leading up the cliff face and is so stunning that tourists visit it just to look around throughout the year. 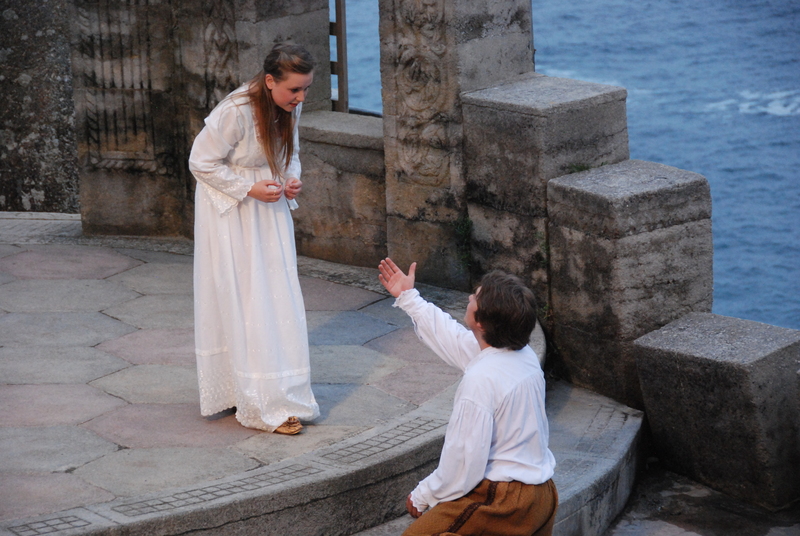 During the high summer season in 2010, Brighton Little Theatre performed Romeo and Juliet on that impressive stage. 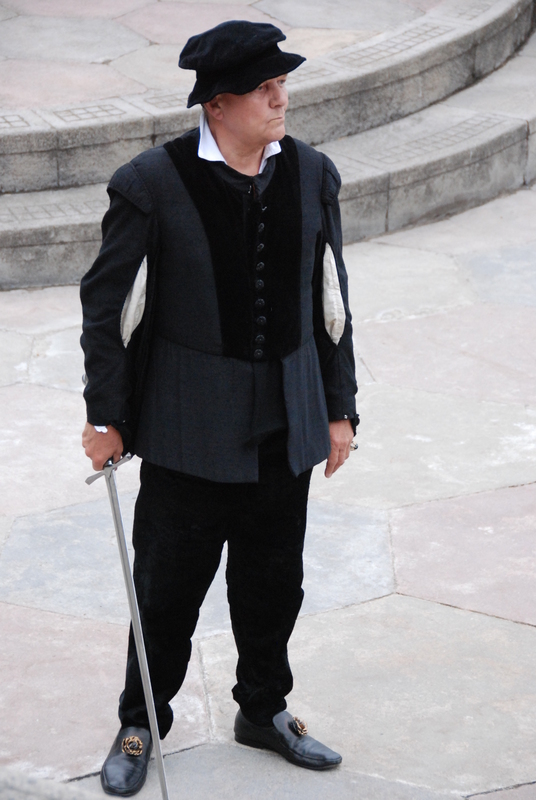 I was going out with the guy that played Benvolio so drove down there as a helper. 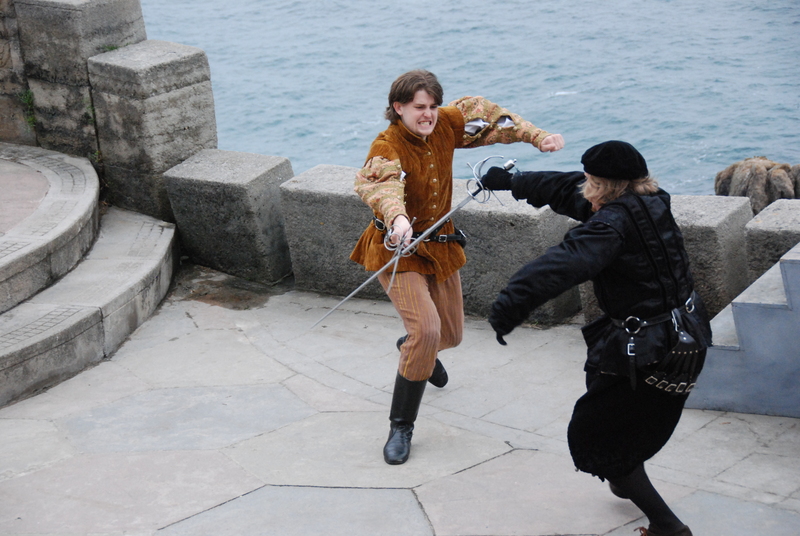 After nearly an eight hour drive to Cornwall, we were met with the news that the huge size of the Minack’s stage meant that the play, the fight scenes in particular, would have to be re-blocked. This work started immediately and went on nearly all the next day. In the meantime, one of the other helpers and I had been recruited to put leaflets advertising the play in all the local businesses. Surprisingly, at least to me, this turned out to be a pleasant task as the shopkeepers were all perfectly happy to put a few of our leaflets on their counters. Heading merrily over to the next town in our little car, we received a phone call: the play had sold out. Every single seat had been sold for every single performance. No more leafletting for us and quite a bit of pressure for the actors. Opening night was on the Monday evening. The day was unpleasantly hot but a strong cool breeze blew in off the sea. 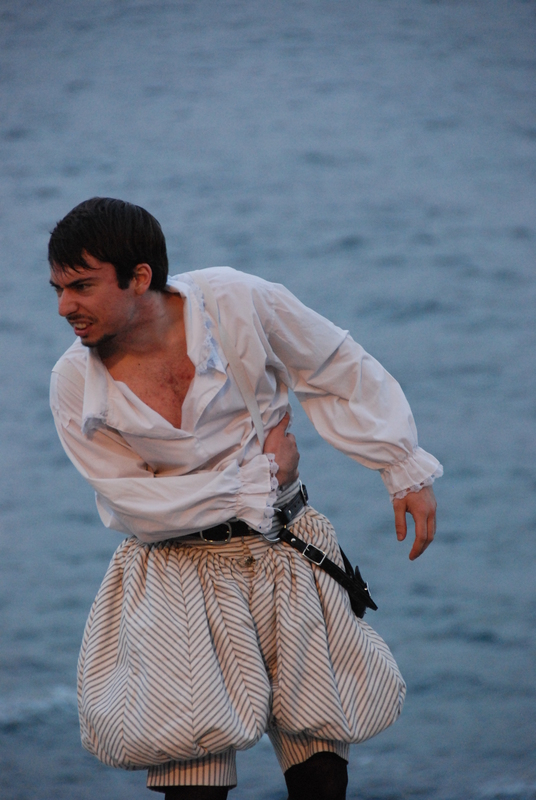 My job was to help seat the audience along with the other helpers and the Minack’s staff. People filed in down the many stone and concrete staircases. Even from near the top, the stage was an impressive size and no one seemed disappointed with their view. Many, after sitting down for a few minutes, came back up to hire cushions to sit on though as the stone tiers looked great but were bloody uncomfortable. Concern became mingled with a touch of excitement and anticipation as the distinctive helicopter sound became audible out to sea. I felt sick: something serious had happened to one of my friends. There was something magnificent about the efficiency of the air ambulance and its crew. It hovered over the backstage area of the theatre and remained perfectly steady as a stretcher was lowered down with two of its paramedics. In no time at all, it pulled the men and the stretcher, now occupied, back up. One of the other helpers found me then and said that a lovely old gentleman called Robert Atkins, playing old Montague, had collapsed back stage. His wife was also in the cast as a dancer. She was driven to the hospital by another dancer. There was talk about whether the show would go on. The audience were given a choice, as it would mean it would be finishing late, and they voted overwhelmingly for the show to continue. It did. As Juliet took the stage once more, a huge cheer rose up from the crowd. 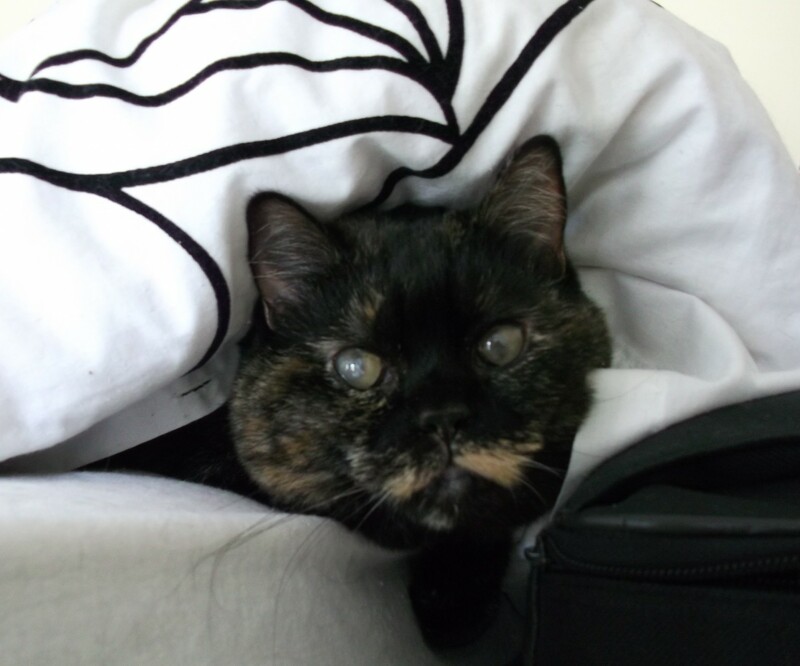 She almost stopped dead from surprise. The director took the part of old Montague with a script and the appreciation showed by the audience at the end was amazing. After the show, we all sat in the pub with our pints of Rattler, Cornish cider, waiting anxiously to hear any news from the hospital. A phone call let us know that Robert had sadly passed away from a heart attack. The rest of the run was dedicated to his memory.